Apple always produces the good for their customers. 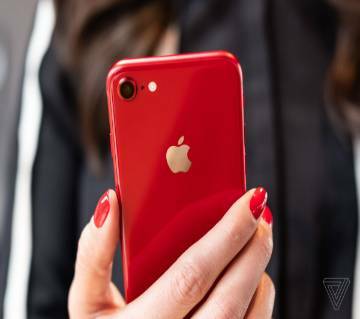 With the iPhone lineup, they always come up with latest tech and specifications to make your phone pocket dynamite according to the performance of the iPhone. With the latest phone lineup, iPhone 8 comes with the latest and greatest technologies but in the same old shell. Apple launched the iPhone 6 back in 2014 and has been stuck with the same basic design since then. But this time with a glass back iPhone 8 is ready with wireless charging, updated internals, and improved design. The display of iPhone 8 is 4.7inch Retina HD display with 1334 x 750 resolutions now featuring True Tone technology. Truetone technology improves your viewing experience by detecting the ambient light and can adjust the white balance according to the display setting. The camera is much improved now with a single rear-facing 12Mp camera that features a larger, faster processor that provides no shutter lag and performs better in low-light conditions. iPhone 8 is gorgeous and sleek looking great phone with the A11 bionic chipset with IOS 11 running the phone. According to Apple, the battery in iPhone 8 will last 2 hours longer than iPhone 7.
iPhone 8 is very slick and performance is top notch. From app opening to playing games, everything is fluent and smooth. I can say each and every time without second thinking that this is a powerful device. Apple devices are always good at memory management. Compared to Android, IOS needs much less RAM to operate smoothly. Perhaps the biggest addition comes via ARKit, which is a developer framework for augmented-reality apps and games. This is basically employed with your phone camera to overlay game elements. You will definitely get one of the best cameras in your hand. iPhone 8 can shoot at 4K at up to 60 frames per second and 1080p at 240fps with an aperture of 2.2. The battery is the only concern that comes to peoples mind. Now Apple has introduced fast charging support to solve your disappointment. You can now charge your phone up to 50% within only 30 minutes. Now you can buy iPhone 8 from AjkerDeal.com. We offer the best price in the market with EMI facility. Here, you can have the facility to buy iPhone 8 online in Bangladesh. 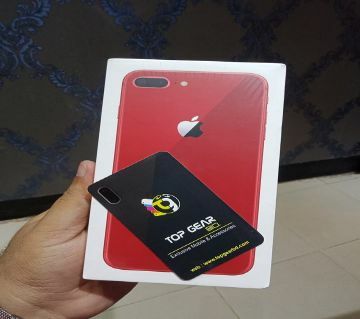 It’s never been this much easier to buy iPhone 8 online in Bangladesh. AjkerDeal makes this happen for you! Check out the iPhone 8 deals on our Site. You will also find some lovely iPhone 8 cases in our store also. It’s a complete package you can say. Buy iPhone 8 from our store because we have only the authentic products in our store. So, you don’t need to worry a bit because you will always get the best ones. Just place an order after choosing the right variant for you from our iPhone category and we will deliver the product to your doorstep.